Happy Friday, Dolls! 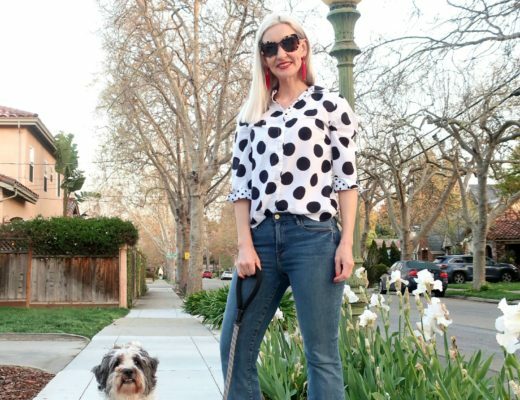 If you haven’t already, check out the latest How I Wear My to see lots of chic ladies sporting their white jeans! Here’s me trying mine with black and a pop of red. Alex of Funky Jungle … chic, adorable, and yes, funky! 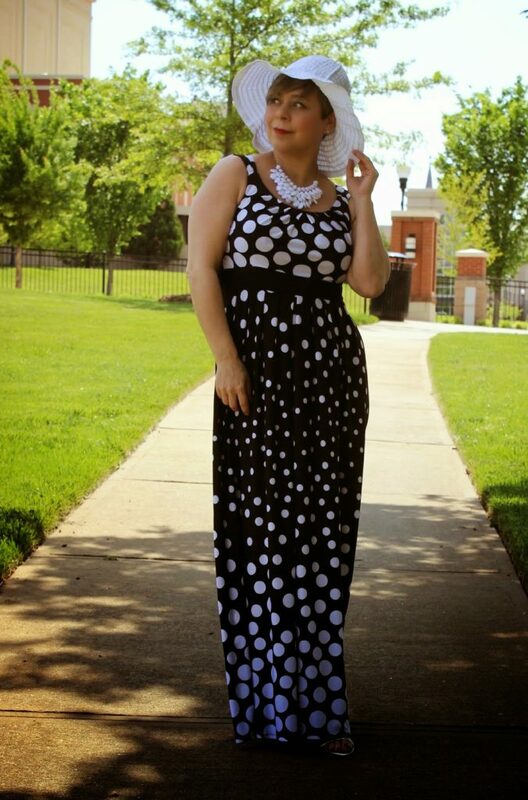 Jennie of A Pocketful of Polka Dots … looking so pretty and ready for a summer party. 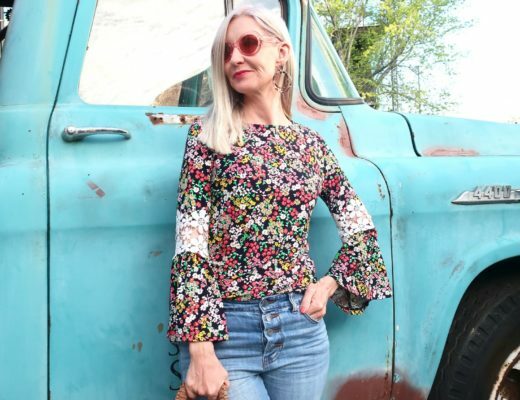 Heather of Forage Fashion … pure casual perfection! Your turn to link up, link back, visit and comment, and most importantly, have FUN! Linking up: Throwback Thursday! Passion For Fashion! Thursday Favorites! Charming Friday! Mix It Friday! I always love seeing this color combo…looking so great Dawn Lucy! You look very Parisian in your outfit. I hope you had a great week! Fabulous casual outfit, love the red bag! Have a great Friday and a relaxing weekend. Very chic! I love black and white with just a pop of red. Thanks for hosting and have a fabulous weekend! Thanks for hosting! I love the white jeans. I always love them on everyone, but myself. Love your white skinnies with black and that red bag! Great picks from last week! I really want that striped cardi in Heather's outfit! Hello friend! Is the linkup today, or am I just confused. I will be there nonetheless. Love the looks, and yours is lovely with the pop of red. 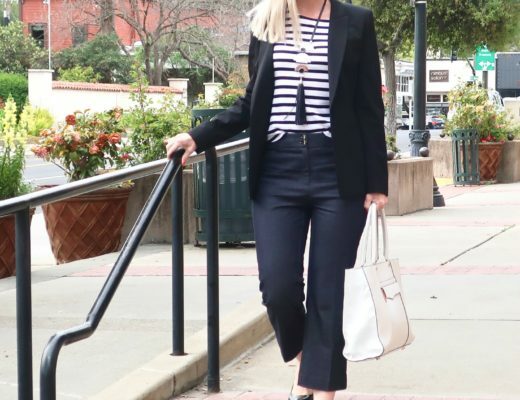 i posted in the How I wear my series and looks like great minds think alike, as I am wearing white jeans today too, and from Loft!! 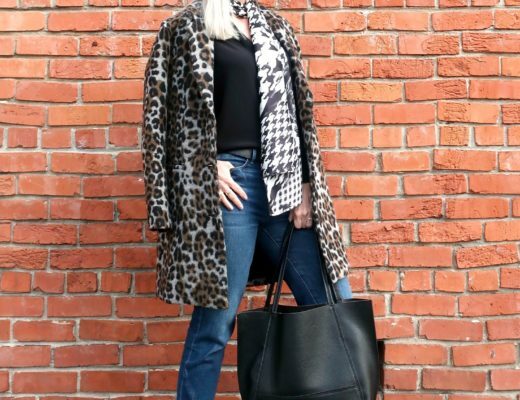 Great fitting jeans, those are not very easy to find! I will look into HIWM… I haven't done it in a while, but they are always inspiring. I like your picks – wonderful looks! Enjoy your weekend! 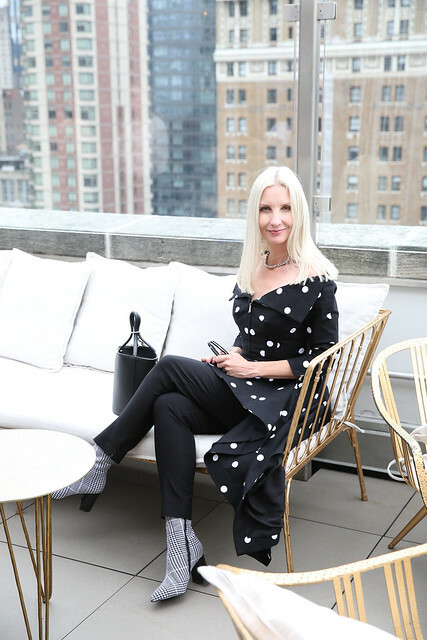 Seriously love to pair my white with black, especially with some high heeled beauties like you have on. Looking good, my friend. Classy look. Love the shoes. Love your white jeans and gladiator sandals! Great picks for highlights this week. Thanks Hon! Don't these 3 gals look fab? You definitely can't go wrong with b&w with red – one of my faves too! I love your white jeans look. Very chic! That was a really fun HIWM. I just added a link to your link-up party for the first time. Yay! So fun! White jeans are great aren't they! I wore mine yesterday. I like your B&W combo, I never wear them with black, hmm, should try it! Love you black and white! So chic…great shoes. White black and red is so classic. You look so chic in your black and white! Love your red bag! You are looking fabulous!! I just love that red bag! Recently I saw a lot of people posting black, white and red outfit! I am a huge fun of this combo and they just make my eyes very happy! Love your look so much! Thank you for hosting for us and have a great weekend! Thanks for the shout out Dawn! Looking so good in this! One of my very favorite color combinations. Your shoes are simply Fabulous! Thank you for the feature this week! Such a nice surprise. Have a wonderful weekend! Oh, and Charming Lucy and I have started a Charming Friday Link-Up.Hope to see you there! Looking good Dawn, lovely featured ladies too. Thanks for hosting! I LOVE this bag! The colour and shape are spot on! I adore your preppy chic look! The pop of red is perfection. You look fab Dawn Lucy and so do your three choices! I am a huge fan of black/white and pop of red. Thanks for hosting! Black & White is an always insta win combo. 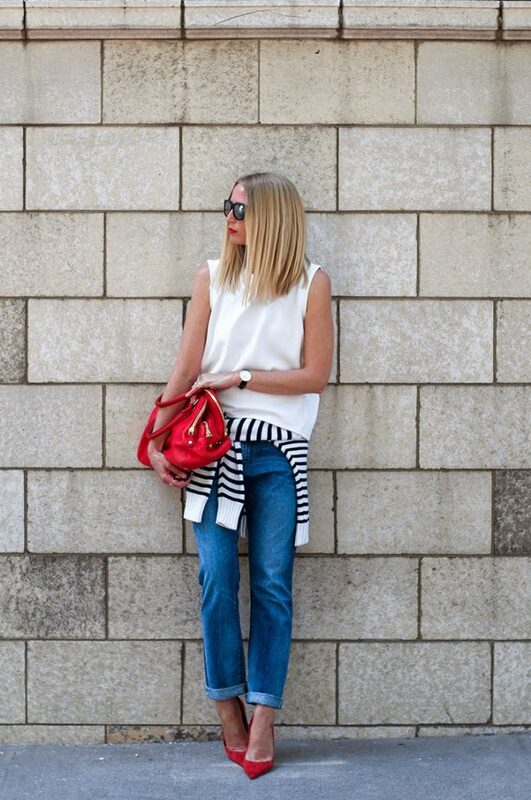 I really like the white jeans on you and the red bag just adds to the chic of the look. 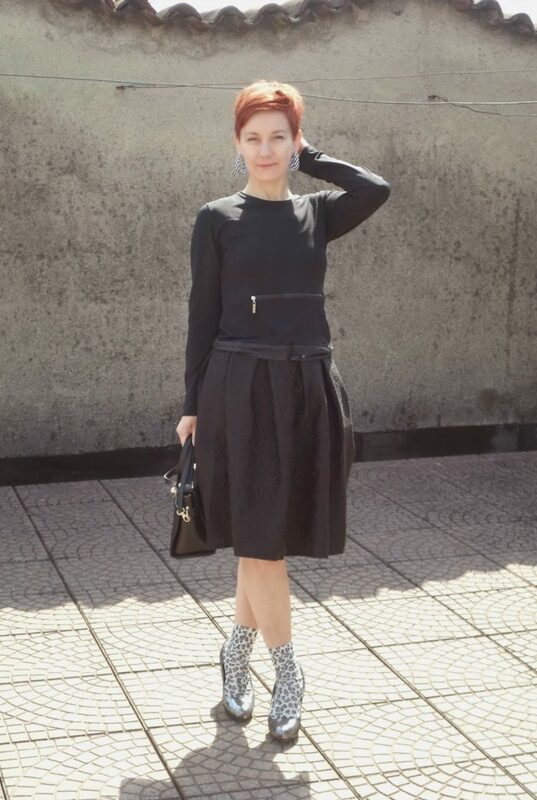 You looked great 🙂 And thanks a lot for featuring my midi skirt look this week! There is something magic when black meets white on a woman, love it on you for sure! My name is Jade Kelley and I have launched a black, white, and red clothing brand for women in their 30's and up. The collection is all dresses and jumpsuits for every and any woman. Can I please feature your article on our Facebook page (Dirty Thirty LA)?